Sadhan Bhadra of sunamganj town of Ukil Para was a college going young man in 1971. When Pakistani army entered in Sunamganj town in 28 March, he participated into the resistance fight under the leadership of local 'Songram' committee. In this resistance by the Bengali Ansar, students and common people, the Pakistani army forced to retreat after two Bengalis were martyred. Later on 10 May the Pakistani army recaptured with their full strength the Sunamganj town, so like all other people Sadhan Bhadra took refuge in Balat refugee camp crossing the border. From this camp he joined training after a few days to be freedom-fighter along with the other young men from Sunamganj town and bhati area. Sadhan Bhadra was one of the freedom-fighters of the first batch of the training camp of Eco-One in Meghalaya. In June, as the trained fighters, they entered into the country. 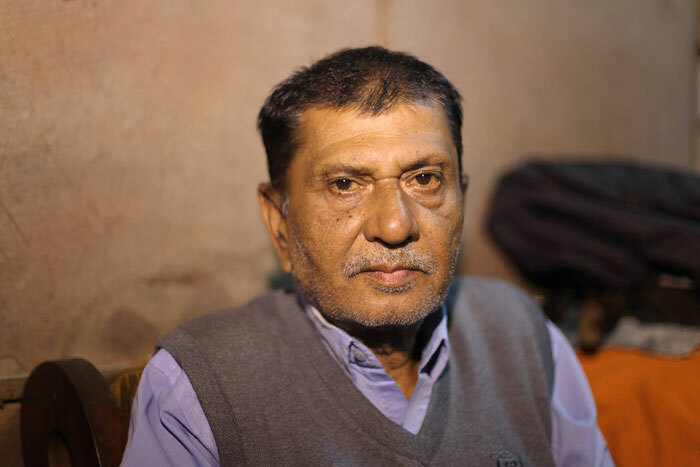 The very first assignment of the trained freedom-fighters was to wage a guerrilla attack to the strong Pakistani base in Chattak cement and Sadhan Bhadra was the leader of this attack factory. Later when the sub-sector of Shela/Banshtala was re-organized under the leadhership of captain Helal, he got the responsibility of Shahid Choudhury’s company 2IC that was in the resistance fight. This company was named as- Foxtrot. As the second in command of this important company of Shela/Banshtala sub-sector, Sadhan Bhadra fought in most of the wars with utmost courage. The Freedom fighter fighter reminiscent the war memories in conversation.